Two brewers walk into a bar. Okay, that’s not exactly how it happened. 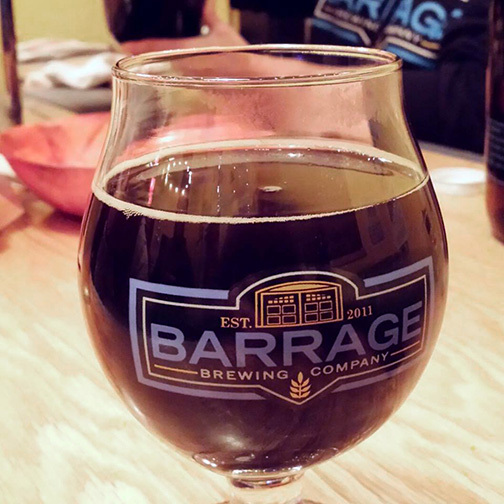 Fortuitously, Steve Pominski, owner and brewmaster of Barrage Brewing was on-site that day, and Christopher, impressed by what he just sampled, struck up a conversation. Chris says, “I had the idea prior, almost to the inception of [Sail Away Coffee], that I would love to use my cold brew and infuse it in beer. I would love a beer to come to life that had all the traits of my cold brew—smooth, non-astringent…” Two weeks after that tasting room visit, an opportunity presented itself. Chris continues, “We got invited to do the NYC Craft Beer Festival as a cold brew vendor. This would be a great idea to approach Steve and invite him along. The next day I walked in there and asked him if he would be into it.” Chris brought samples of his cold brew coffee for Steve to try, and, after a few tastings, a collaboration beer was born. The final product, CMP, a 6.5% ABV. coffee milk porter, is made with a concentrate of Sail Away‘s cold brew coffee. Alas, it was not to be. Due to last minute changes in venue and dates, Barrage Brewing was unable to pour at the festival. Do not despair for CMP, the coffee milk porter, will debut this month at the Barrage Brewing tasting room in Farmingdale, New York, and at select restaurants and bars across Long Island. Barrage Brewing is located at 32 Allen Blvd, East Farmingdale, New York. 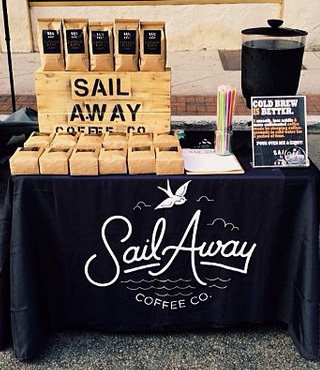 Sail Away Coffee Co. can be found at farmers markets across Long Island. Visit sailawaycoffee.com or Facebook for up to date information.